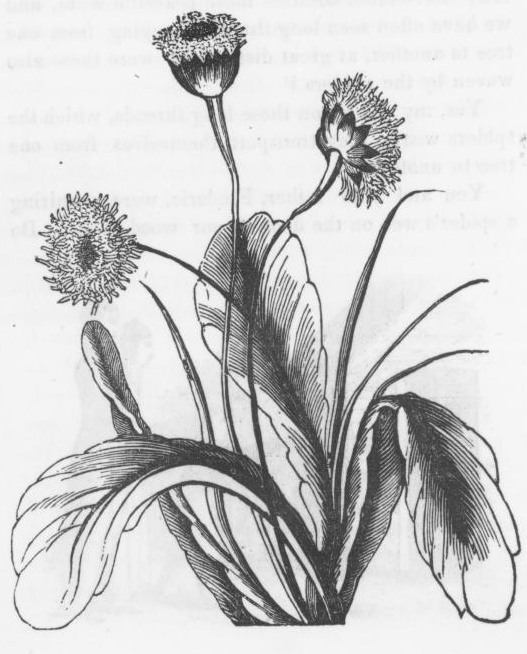 Copyright free black and white blooming dandelion drawing. This drawing is fairly large and could easily be colorized by hand or via the computer. It would make a great addition to a scrapbook page, mixed media art, collage or other arts and crafts project. I left the image pretty much as I found it. Sometimes having the bleed of text from the facing page can add visual interest to mixed media projects. Of course, a little photo editing would remove them easily if you preferred. Tales Worth Telling, Traveller’s Adventures by Sea and Land was published by Munroe and Francis & C.S. Francis & Co. in 1852. They didn’t identify an illustrator which is a shame since they used so many wonderful illustrations within its pages.